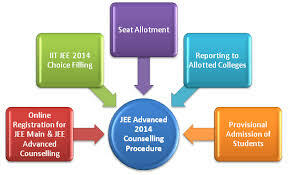 IIT JEE Advanced Result : The JEE Advanced exam result is likely to be declared on June 19, 2014. Candidates can check their scores tomorrow by logging in the official website of JEE (Advanced). The selected candidates will be eligible for admission to undergraduate courses at the Indian Institutes of Technology (Bhubaneswar, Bombay, Delhi, Gandhinagar, Guwahati, Hyderabad, Indore, Jodhpur, Kanpur, Kharagpur, Madras, Mandi, Patna, Roorkee, Ropar and Varanasi) and ISM Dhanbad. The admissions to the above stated IITs and ISM (Dhanbad) will be based only on category-wise All India Rank (AIR) in JEE-Advanced. The JEE Advanced exam was conducted on May 20, 2018 by IIT-Kharagpur. Out of 15 lakh candidates, only 2, 24,000 qualified students appeared for the JEE Advanced 2018. Qualified JEE Advanced candidates who wish to join the B.Arch courses need to qualify an Architecture Aptitude Test (AAT-2018), which shall be held at seven zonal IITs on June 26.